The video coverage was poor with the camera frequently panning the floor and feet of people attending the event or even passersby. It’s also possible that the event was transmitted without the consent of the DIFC higher management. To those of you who are not aware of Periscope, it is a live broadcasting app – and you can install it on your smartphone. It’s used in conjunction with a Twitter account. 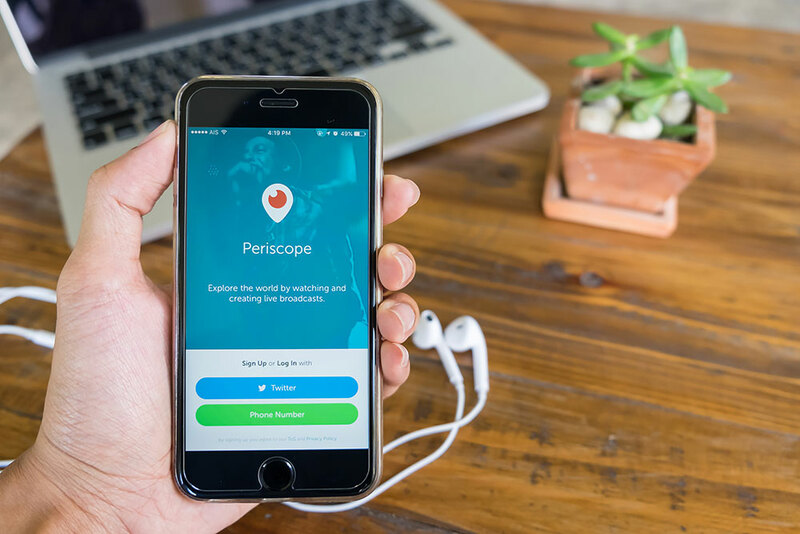 If you don’t have a Twitter account, you can easily start an account from the Periscope app in less than 2 minutes after downloading the app on your Apple or android device. After an installation of the Periscope app, you can broadcast an event live, right from your morning yoga or drive to office. Now almost anyone with a smart phone with Perisope installed can do a live broadcast of a video stream! In the past, events had to be mega projects to be worthy of a live broadcast, but now, you can call almost any moment of your life an event. The event which you choose to broadcast can depend on your imagination – having a break in the office, weekend barbeque at the beach, coffee at the café, product launches, sporting events, house parties, morning walks, window shopping, birthday dinners or talk shows. And anyone around the world can view what you choose to broadcast live!! While individuals broadcasting their daily lives are many, it is live chats either by individuals or radio stations that get maximum reach. In the last few weeks, we have seen live videos streams with 300 to 1,000 viewers for talk shows on American Radio stations. For the past few days, a tourist in Rome was broadcasting his walking tour in Vatican City & Rome. Followers where religiously watching him prompting him to leave a recorded version for the benefit of others. Yesterday, on 7th June, as the sand storms were active and trying to disturb peaceful driving in UAE, a couple of twitter accounts in Dubai & Abu Dhabi where broadcasting the sand storm live. The coverage was interesting and provided various perspectives! People watching a Periscope broadcast can message to the broadcaster – these messages are seen by the broadcaster and the other viewers of the Periscope event. The innovative app opens video sharing with unlimited participants. Until now video sharing was limited to a certain number of viewers; Skype allows only 25 participants in a video chat while Google Apps supports only 15. If you are keen to use the latest trends for your brand, your business, you can always contact us. Drop a line from our contact us page. We are just a block away, if you happen to be in UAE.